Green business opportunities are on the rise - and customized canvas totes could be next hot business idea. Green business opportunities are on the rise. We had been using those plastic bags with handles, used at most grocery and other retail stores for years now, and I, for one, always find great uses at home for them. However, recent reports show that they will soon become a thing of the past. Food stores such as Stop & Shop have started providing cloth canvas bags which are reusable for toting home groceries. They are available for a small fee. I dislike the idea of using canvas tote bags that advertise for a specific store. 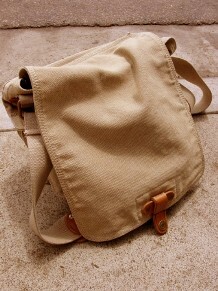 I think what is needed is a type of tote bag that is attractive and fun to carry with you to do your shopping. Maybe bags could be decorated for specific people, such as pet lovers, etc...vegetarians...really anything like that. If we are really going toward recycling and reusing and the plastic bag is going to be phased out, there leaves a huge gap to be filled. And it's somewhere in this gap where hot new green business opportunities will emerge. Your business ideas are excellent. Nice effort! This is fantastic post Arthur have shared with us. Most of the posts in the blog excite with perfect education. Great website,you have mentioned about business ideas which are excellent to follow,you can earn good income through it. You have written some great quotes here and I would like to say that keep up the good work. I would like to say that keep up working hard. This is fantastic post Arthur have shared with us. keeps the users interest in the website, and keep on sharing more. Starting a New business in not easy and everyone want to get ideas related to that business which you want to start which is good thing. Now in this website you talk about different kinds of business and a lot of ideas against each business also contain this website. Thanks a lot for this great effort. What a great post which have good content regarding Hot New Business Idea Tip. I hope this will helpful for those person who want to do business. Thanks a lot for it. This is a great post about Business Idea Tip. I have visited many posts of this blog all posts have really helpful material for everyone. it’s a truly cool blog that you have here, keep sharing such awesome posts. Join in and write your own page! It's easy to do. How? Simply click here to return to The Hot New Business Ideas Discussion.